Today only, you can save $25 on your home brewing supply or equipment order of $125 or more from MoreBeer.com. When checking out, just enter coupon code SAVE25. Good luck and happy brewing! It seems like often times home brewers place a ton of attention of the brewing process and not enough on the fermentation process. The truth is that both are critical to making a good beer. Brewing yeast is highly temperamental and is heavily impacted by temperature. 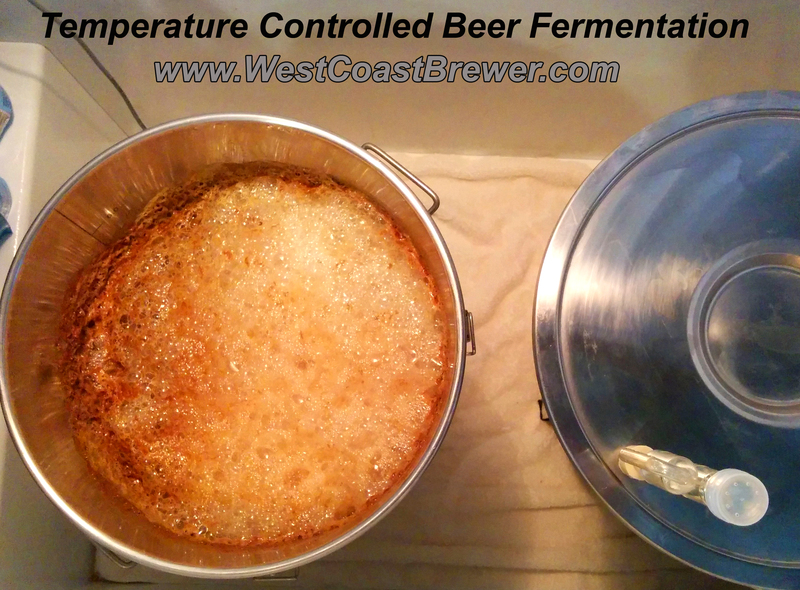 If the temperature is too cold it begins to shut down, slowing replication and fermentation. If this happen at the wrong time in the fermentation process you will wind up with a sweet and under fermented beer and potentially bottle bombs. If your temp gets too high high you may flash ferment your beer ending up with a bunch of off flavors created by your yeast. What you want in a nice consistent temperature, specific to your lager or all yeast strain. A temperature that is consistent 24 hours a day, not fluctuating wildly day and night. For most ale yeast strains you are looking for a target temp of about 68 F. Depending on where you live, what time of the year it is and what type of equipment you have available will determine how you want to handle controlling your fermentation temperate. In any case, you are probably going to want to purchase a temperature controller such as the Ranco Digital Temperature Controller pictured above. I have used both Ranco and Johnson controllers and would recommend either; the Ranco just tends to be a little less expensive. 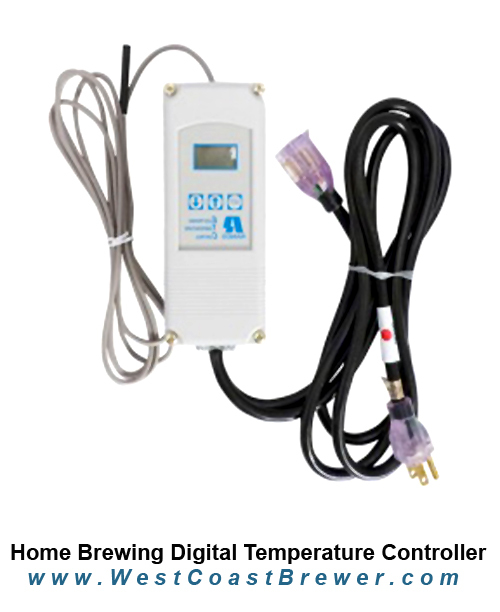 In an ideal situation you would hook the temperature controller to a chest freezer or refrigerator to help insulate the beer from the elements. 1. Take your packet, pouch or vial of yeast out of refrigerator and allow to warm to room temperature. A temperature of between 70F and 80F is ideal. 2. Add 1/2 quart and 1/2 cup of DME to a sufficiently sized Erlenmeyer borosilicate glass flask. That mixture will create an approximate original gravity of 1.04. If available and desired, add in a yeast nutrient such as Fermaid K. Allow the DME and water to boil for 10 minutes. 3. Remove the flask from the heat source and cover the flask opening with aluminum foil. Place the flask in an ice bath to cool. You can swirl the flask in the ice bath to help the liquid cool more quickly. Remove the flask from the ice bath once it has reached room temperature. 4. 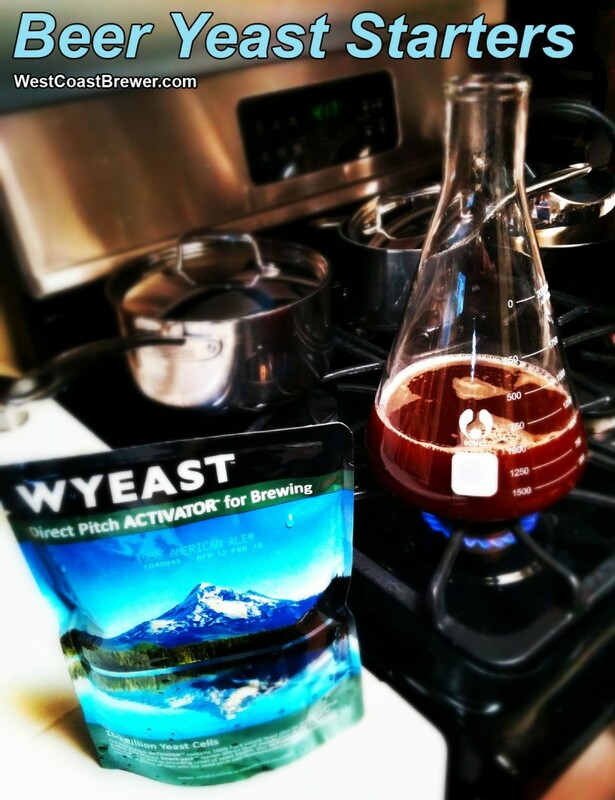 Sanitize the yeast vial or packet and then pour its contents into the flask. Cover flask with aluminum foil or a sanitized foam stopper. If you are using a stir plate, also add your sanitized stir bar and center it in the flask. 5. Place the flask somewhere that is consistently warm, between 68F and 80F. Wrap the flask in a towel to shield it from sun light if needed. Swirl your flask as often as possible or use a magnetic stir plate to help maximize cell growth. 6. If desired, after 24 hours, you can chill the starter overnight in the refrigerator allowing the yeast to flocculate. You may then pour the starter solution off of the yeast bed so that only the yeast will be pitched. 7. Utilize the yeast started within 12 to 48 hours of creating it. Flasks, stir plates, yeast and yeast supplies can be purchased here!